A large window allows your dog to watch the passers-by. A TV and DVD player are available if you want to bring favorite movies for your dog to watch. Feel free to bring your dog’s favorite toys and special treats. We always provide, at no additional cost, top-quality Hill’s Science Diet food. Because your pet is staying at a veterinary hospital, any special health conditions can be cared for. 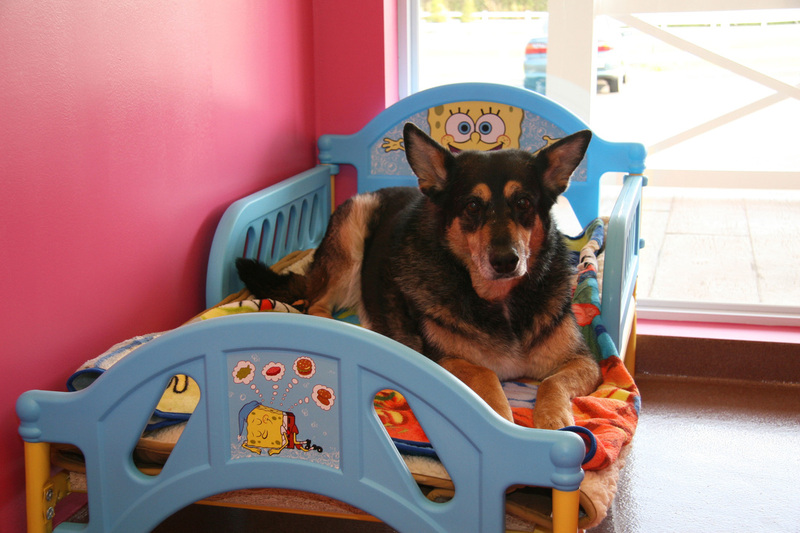 If your pet starts feeling ill, while staying with us, we can treat her appropriately right away. Staff is available 24hrs a day to check on the comfort of your pet around the clock. Our state-of-the-art internet “Boarding Camera” is available for those wishing to check in on their pets while they are away on vacation or business.